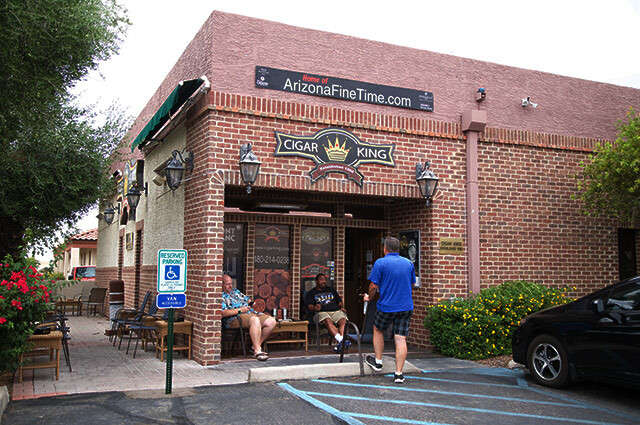 Cigar King is a family owned operation since 1960. In our 50 plus years of business, our philosophy has remained the same; we provide our customers with the highest level of service and the best quality products at great prices. We stock only the best cigars in the world at the best prices and offer the best service hands down. The Cigar King family is committed to providing you with an exceptional experience, both before and after the sale. At Cigar King, we have a totally unique way of selling cigars, watches and luxury goods. We believe in treating customers the way that we want to be treated, that's why our approach is laid-back and no pressure. Our goal is to make the purchase as comfortable and stress free as possible. It you ever have any questions, concerns, or if you just want to chat cigars, please contact our friendly and knowledgeable staff. We're here to help!